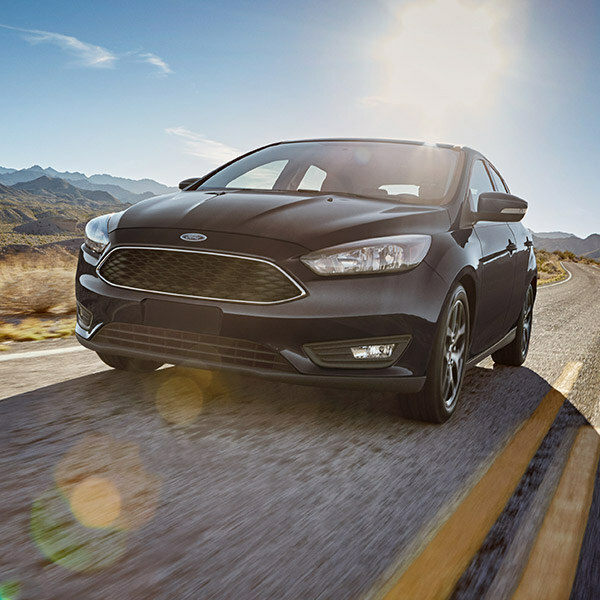 Ford recently introduced the all-new Ford Focus in April. Engineers have spent long hours redesigning the Focus, adding new technologies, improving interior dimensions, and optimizing driving dynamics. In short, the new Focus is more enjoyable to drive than ever before. According to Ford, the Focus offers three different body styles: a four-door sedan, a five-door estate/wagon, and a five-door hatchback. Specific changes to the Ford Focus design include a longer hood, more interior space for every passenger, and improved aerodynamics. There’s also an all-new Ford Co-Pilot360™ system, which is a suite of driver-assist technologies. You’ll find available Adaptive Cruise, Adaptive Lighting, Active Park Assist, and Evasive Steering Assist. Driving dynamics are also better thanks to an all-new Electric Power Assisted Steering (EPAS) system, and drivers now get a standard Drive Mode Technology. You can switch between Normal, Sport, and Eco modes to optimize performance and fuel economy, while new options like Adaptive Shift Scheduling optimize gearshift timings and Adaptive Shift Quality adjusts clutch pressure. The all-new Ford Focus will arrive in dealerships in 2019. For more information, or to schedule a test drive of the 2018 model, visit us at Sanderson Ford.